From Blade to Deadpool to Logan, R-rated superhero movies are quite the niche business in Hollywood. Now comes Hellboy, a film that makes all those other R-rated superheroes look tame in comparison. 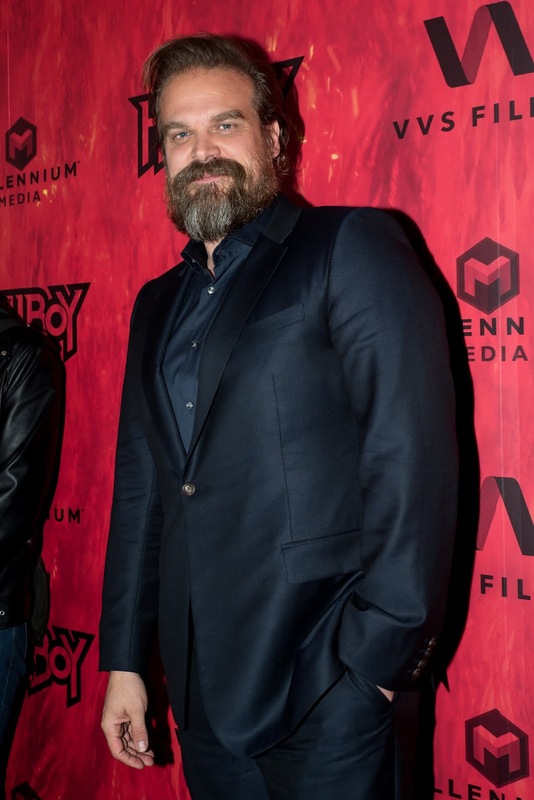 Starring David Harbour in the titular role, Hellboy marks the third time that the cult favorite Mike Mignola character has made his way to the big screen. Unlike the previous movies, however, director Neil Marshall's hard-edged take finds itself much more in the horror vein, with Harbour (who's best known for playing Police Chief Jim Hopper on Stranger Things) doing one hell of a job as the half-human, half-demon antihero with the power to either save the world or bring about its destruction. 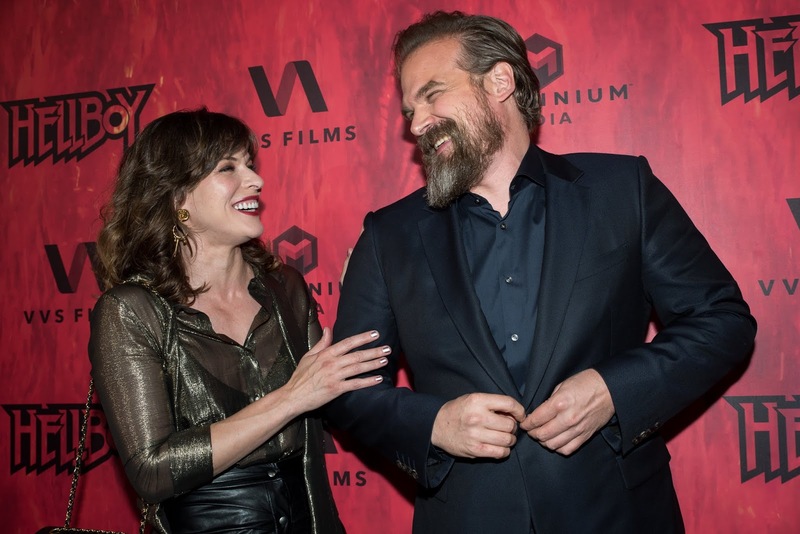 I caught up with David Harbour ahead of Hellboy's Canadian premiere to chat about his approach to the character and the challenges of the role, as well as what it was like working with his co-star, Milla Jovovich, who plays the villainous Blood Queen. The film, in my opinion, has everything a Hellboy fan could want — and it really pushes that R rating too. What was your approach to making this version of Hellboy your own, while also acknowledging the road paved by Ron Perlman's take on the character? Harbour: It's the same character, so there's a lot of things from the comic [that are] the same. But we really went back to the original comics — to the Dark Horse comics. We wanted a darker palette; the color palette, and also the brutality of the comic, and almost the bleakness. We wanted the apocalypse to really be no joke in this movie — this brutal world. In terms of Hellboy himself, one of the things I found most compelling about him in the comic and in the story — and we changed the father figure a little bit to accommodate for this — is that there's an identity struggle at the core of him, which is that he's meant to be the Beast of the Apocalypse. But he chooses to be a good detective fighting monsters. And we used the father character of Broom more to enhance that, by being this shadow that keeps him a boy, that contains all these paradoxes of shaving his horns but wanting him to be who he is — all these complex things that he has to deal with. But, in general, I really wanted that to be the core of him. I wanted you to feel at certain points in the movie that he might be the villain, like he might go bad. That tension, I thought, was really fun and unique, and I wanted to explore more of it. This is also your first VFX and special effects-heavy role. What was it like acting and doing some of the stunts while under all the prosthetics and makeup effects? Harbour: The makeup took a long time to get used to. It's very different than anything I've ever done, because it's a full mask of latex, so emotion doesn't come out just easily. You have to actually lift your face more when you're doing certain things or express in a different way. So I had to learn a lot doing it. And then there's, of course, a ton of CGI, which is at the end of the day playing dress-up with your friends. It's these green or blue backdrops and just punching against nothing [laughs] and things like that. So, in that way, it's just using a lot of imagination. Speaking of stunts, what kind of physical preparation did you have to do for the role? Harbour: The whole body's a suit, but I did get very strong for it. I wanted to feel the bestial quality of somebody who looks like that. And so, in that way, I was doing a lot of powerlifting at the time. And I was eating a ton, so I got big and strong. And when [I did] really heavy powerlifting, I feel like I got angrier. [laughs] I felt like it released a lot of this testosterone — these chemicals in my body — that were useful [for] playing him. And you and Milla have great chemistry on-screen. What was it like working with her? Harbour: She's amazing. She's such a smart woman, and she's done so much film that she knows the medium so well. When she shows up, she not only brings herself as an actress, but she brings all these ideas. And she's so kind and generous with her energy and her time and her brain, and I just adored it. I think you see it in the movie. I think that those scenes where [Hellboy] has a real draw to her, I was able to pull on all that draw that I have for Milla herself. When I had to shoot her in the face, I had to do a little more work. [laughs] But just the natural draw — I found myself really drawn to her as a human being.